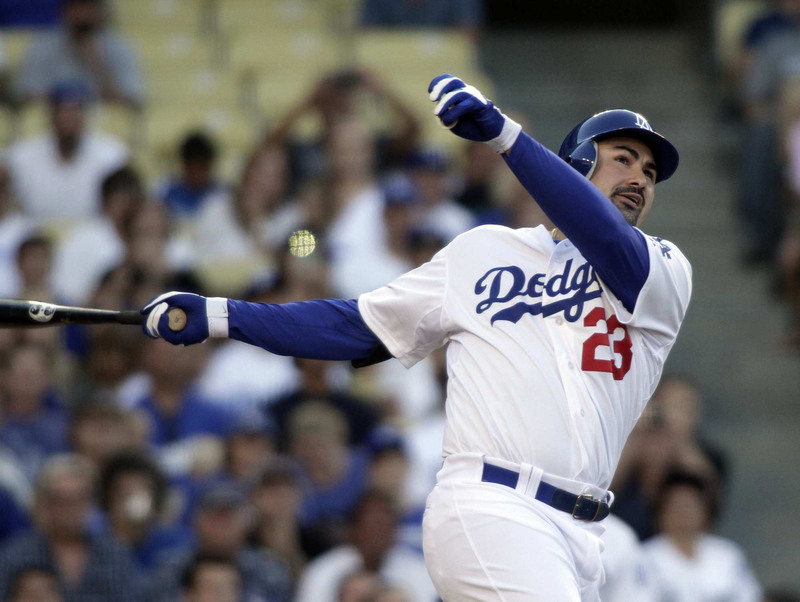 The Los Angeles Dodgers shut down Adrian Gonzalez for the rest of the 2017 MLB season Wednesday, the Los Angeles Times’ Dylan Hernandez reported Wednesday. As a result of the move, Gonzalez will be out for the postseason as well. According to SportsNet LA’s Alanna Rizzo, Gonzalez’s back tightened up following the Dodgers’ 9-2 win over the San Diego Padres on Tuesday night. Gonzalez went 2-for-4 and hit a solo home run in the bottom of the seventh, which proved to be his final at-bat of the season. This is another setback for the first baseman after he was transferred to the 60-day disabled list earlier in the season with a back injury. While he slashed .285/.349/.435 with 18 home runs and 90 RBI last season and is a five-time All-Star and two-time Silver Slugger, Gonzalez hasn’t been the same dominant force he was in his prime during the 2017 campaign. He finishes the year with three home runs, 30 RBI and a .242 batting average, although the Dodgers have still managed to string together a head-turning season and run away with the National League West. Los Angeles relied on Cody Bellinger to occupy first base when Gonzalez was previously out and will likely do the same moving forward after this latest setback. While Gonzalez is one of the better players of his generation, the Dodgers still have more than enough in their potent lineup to compete for a World Series crown even if he is forced to miss significant time. The Dodgers expect Gonzalez to return at 100 percent in 2018, but for now, the journey into the postseason continues. Los Angeles has clinched the best record in MLB, and it will own home-field advantage throughout the playoffs. The Dodgers will face the Wild Card winner in the NLDS. The Diamondbacks have already qualified for the Wild Card matchup, while the Colorado Rockies, Milwaukee Brewers and St. Louis Cardinals are still mathematically alive for the second spot.